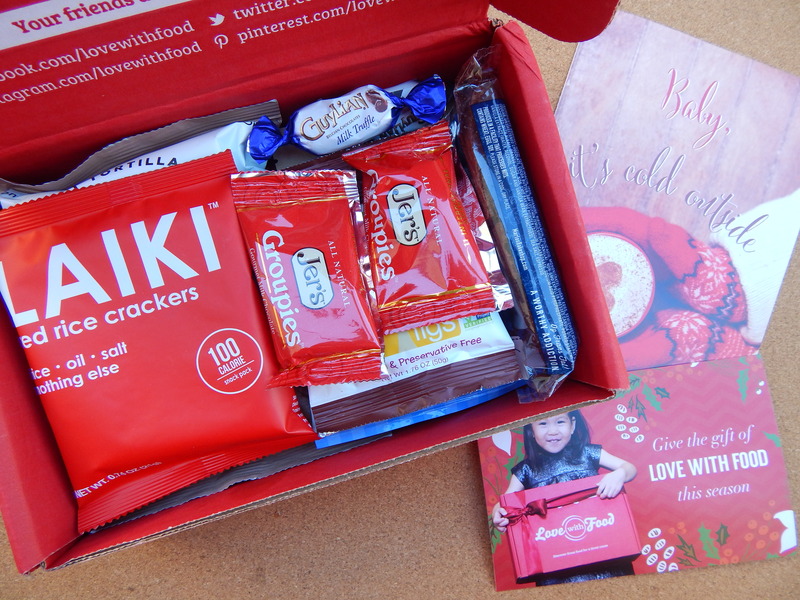 Love With Food is a monthly subscription box. 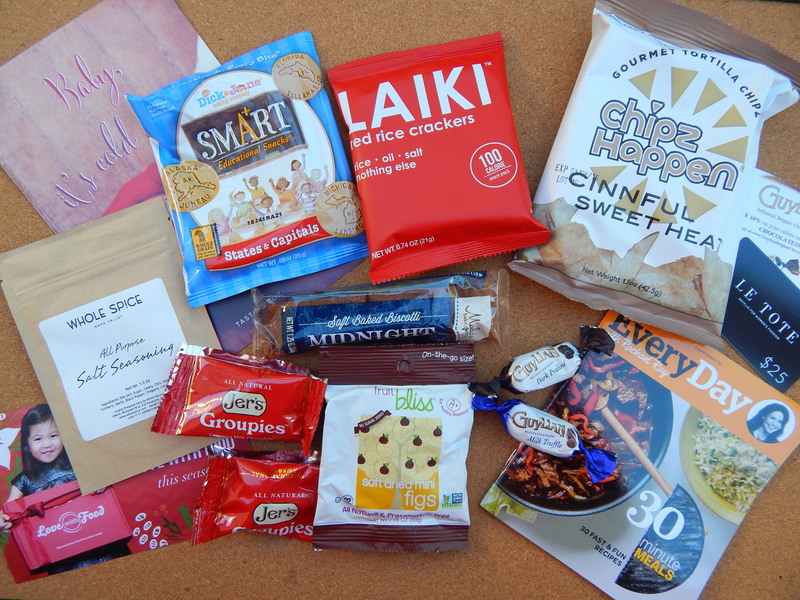 You get a box in the mail with all natural or organic snacks for $10 a month. The best part is that for every box purchased the company donates a meal to help end childhood hunger. For every box purchased the company donates a meal to food banks like Feeding America Network and Share Our Strength – No Kid Hungry. You can get your own box by clicking below. Right now the 1st month is free! November was my 1st box and I know it’s already December, but I still wanted to share. I will be posting them from now on. Let me show you what I got. First of all, I am a sucker for cute packaging, and this box is adorable. I was surprised by how many items came in the box. Most of these items were new to me and to my husband, and it has been fun eating them during the last month. 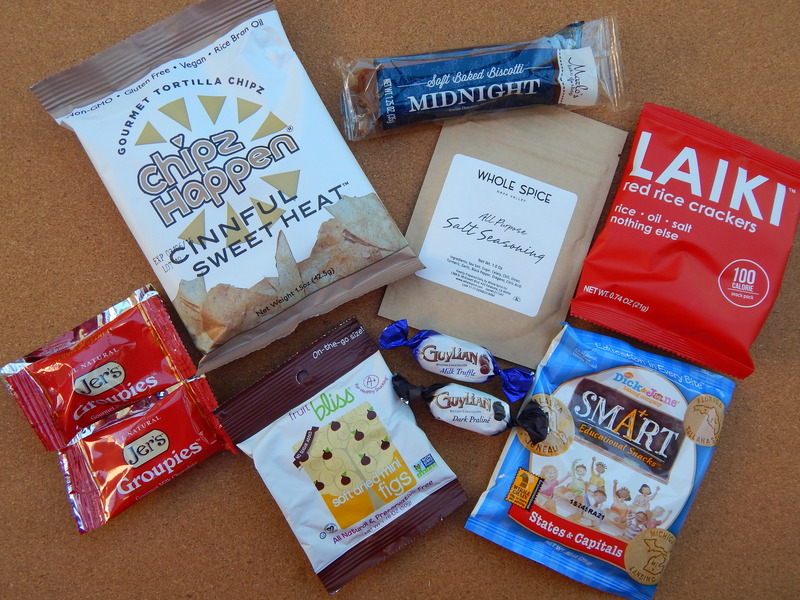 It’s a good way to try new little snacks that you may not have seen or picked in stores otherwise. These are the reading materials that come in the box. 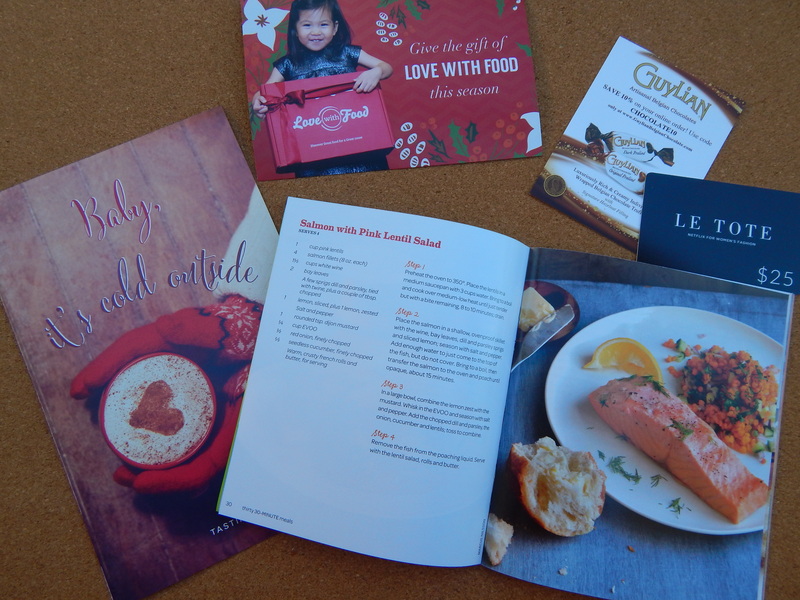 I really like that they included a mini Rachael Ray Everyday cookbook. The Baby, It’s Cold Outside pamphlet has the description of all products included, and it’s the theme of the November box. 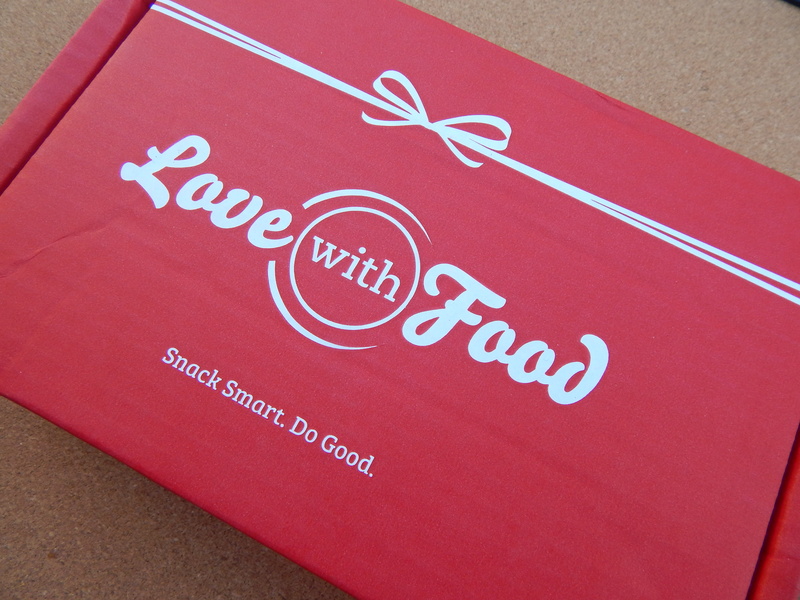 If there is a snack you really like in your box you can go on the Love With Food website and order a box of it which I think is really cool. My husband’s favorite item was the Jer’s Milk Chocolate Peanut Clusters and mine were The Soft Dried Figs by Fruit Bliss and The Laiki Red Rice Crackers. If you are interested in signing up you can go straight to their website or you can get your box by clicking here and signing up on their website. Right now they are offering the 1st Month free!